In store today we present The Chaise from KiX. The chaise is available in 3 options to suit many environments. 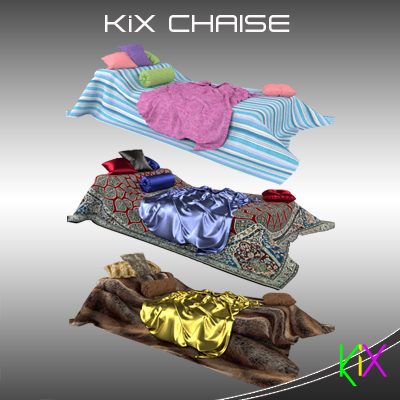 Luxurious Silk, Cozy Fur or Zingy Beach textures all created with KiX original mesh and KiX original animations. We are sure you will find on to suit your needs. We also have a promotion on. Buy the very naughty adult version and get the PG version free for when the children are around. Please come on over to the main store and have a look today.